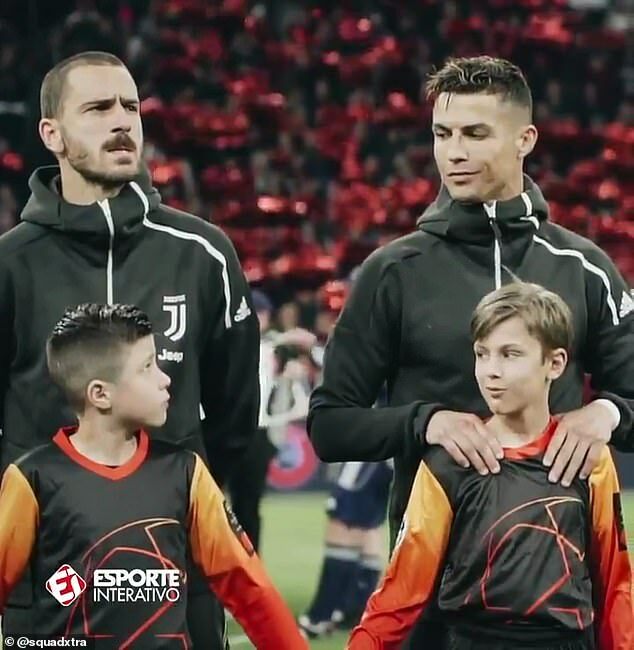 Cristiano Ronaldo made a mascot’s night by acknowledging him during the Champions League anthem before Juventus’ clash with Ajax. 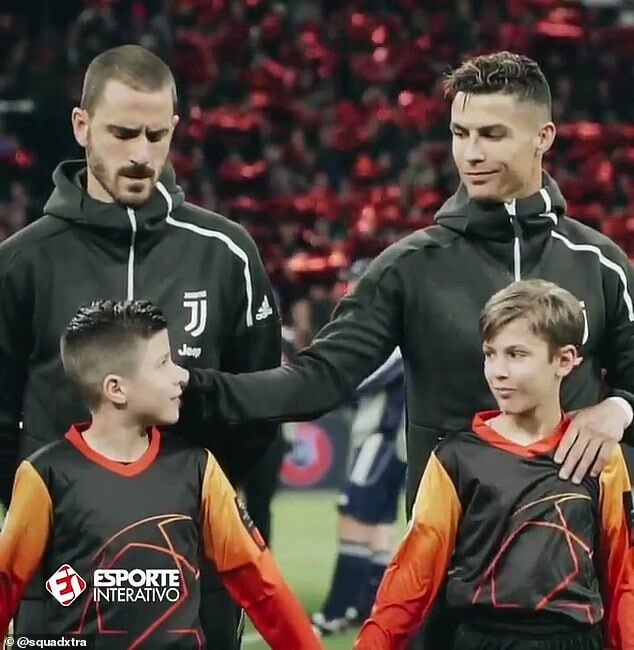 The young boy was standing in front of Ronaldo’s team-mate Leonardo Bonucci when Ronaldo caught the boy staring at him. The five-time Ballon d’Or winner smiled at the mascot before giving him a tap on the ear. The boy was delighted that his hero acknowledged him as he had a big grin on his face. Ronaldo scored Juventus’ goal in the 1-1 draw in the first leg of the quarter-finals on Wednesday night. The Dutch side dominated the first half but in typical fashion, Ronaldo powered a header into the net before the break. David Neres scored in the first minute of the second half to level the scores for Ajax. The second leg between the two sides is on April 16 at the Allianz Stadium.